Nintendo Wii and Gamecube emulator Dolphin has been updated to version 4.0.1. This fixes a number of issues, including graphical glitches in several games. See here for details. If you’d prefer to be on the cutting edge, there are always new development builds appearing—although neither these nor the new update currently have Mac binaries available. NES/Famicom emulator FCEUX has been updated to version 2.2.2. This release adds a number of debugging features and fixes emulation bugs. 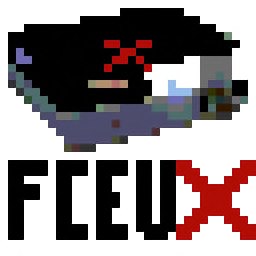 See here for the full changelog, or get the latest build from the FCEUX website. 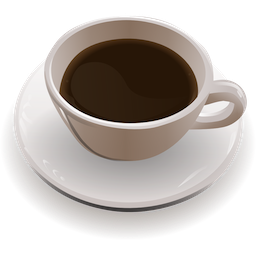 Java-based PSP emulator JPCSP is currently getting weekly automated development builds. The current focus seems to be bug fixing and improving cryptography handling. Go here to download builds, and here to check out the JPCSP website. Multi-system emulator Mednafen has been updated to version 0.9.32-WIP to address a compatibility regression with at least two PlayStation games. You can read more about it here, and grab a Mac build here. Frontend/launcher Nekolauncher Mednafen has also been updated. CocoaMSX, an open-source MSX emulator, has been updated to version 1.35. This release improves joystick stability, allows hard reset of the emulated system, and adds a few other new options. See here for release notes, source code, and a download link. Sinclair ZX emulator zxsp has reached version 0.8.0pre20, with the latest update adding support for the Lenslok decoder and the other October release adding Qt and tape recorder sound effects. DOSBox frontend DBGL has been updated to version 0.77. This release revamps the menus, fixes a number of OS X-specific issues, implements drag-and-drop support for configuration files, and more. See the changelog for full details, and grab it from the DBGL homepage. Dapplegrey, another DOSBox frontend, has reached version 4.0.1. This build adds the missing “PC Speaker” setting to the Sound toolbar, while the prior 4.0 release changed a bunch of interface things (the details of which you can read here). Note that the 4.0.x series of Dapplegrey will be the last to support OS X 10.4 PowerPC machines. Get it here. RPCEmu, the Acorn Risc PC emulator, has been updated to version 0.8.11. This build adds support for Phoebe, the Risc PC 2 prototype machine, and it changes how hardware is configured. See here for the full changelog. You can learn more about the emulator and find a download link at the official RPCEmu web page. Open-source machine emulator and virtualiser QEMU has been updated to version 1.6.1, bringing with it a host of minor changes — including Mac OS X PPC guest support (anyone want to try this and report back?) and lots more. You can get the source code here.